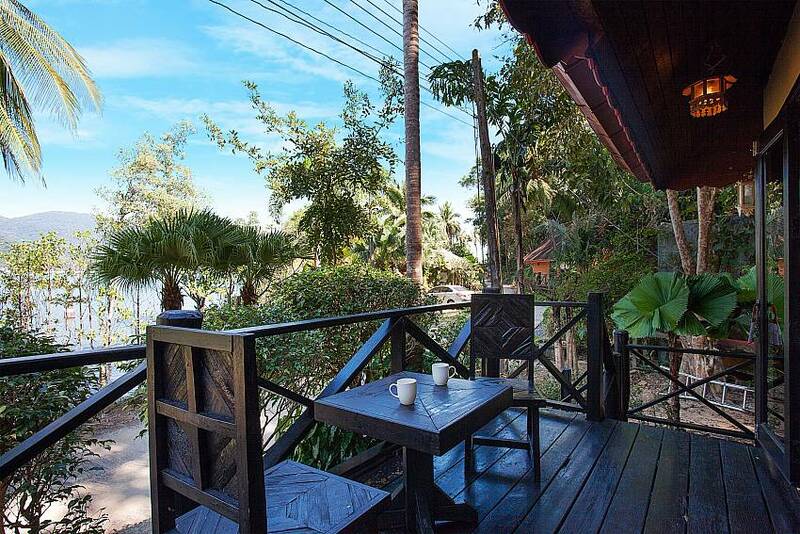 When you want the ultimate Thai island holiday experience, this earth-shattering 1-bed bungalow enjoys a picturesque sea-view location in the heart of paradise. 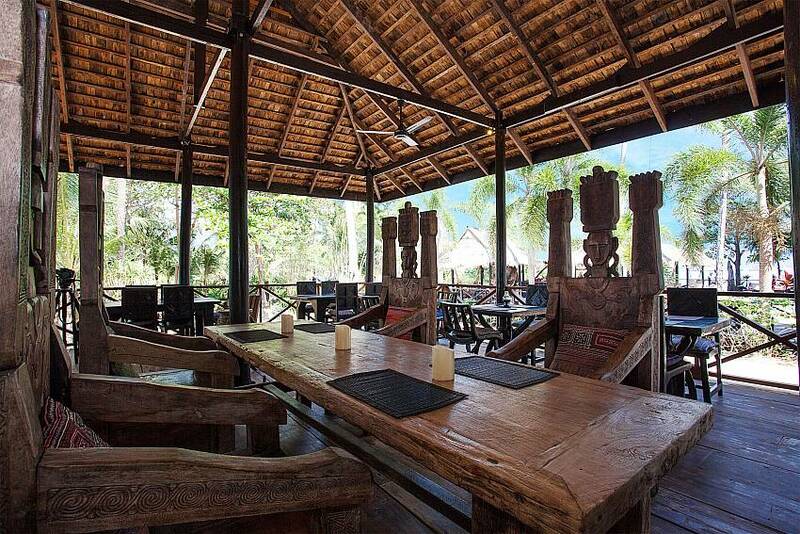 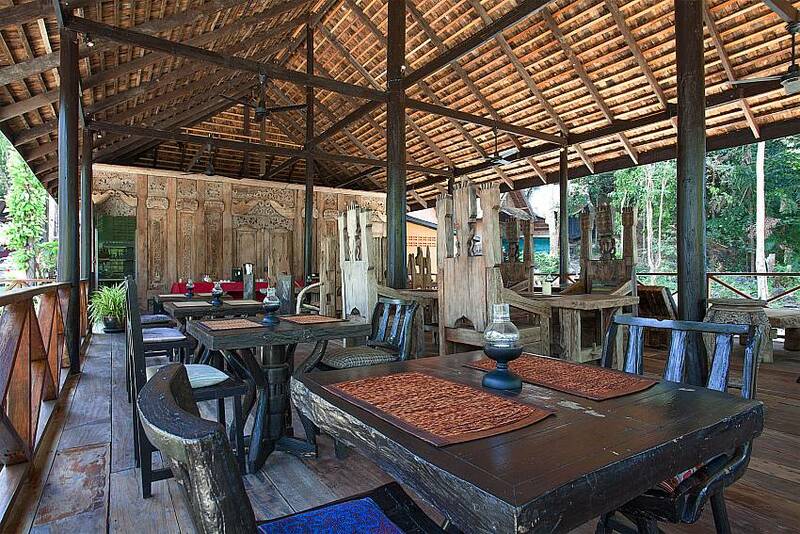 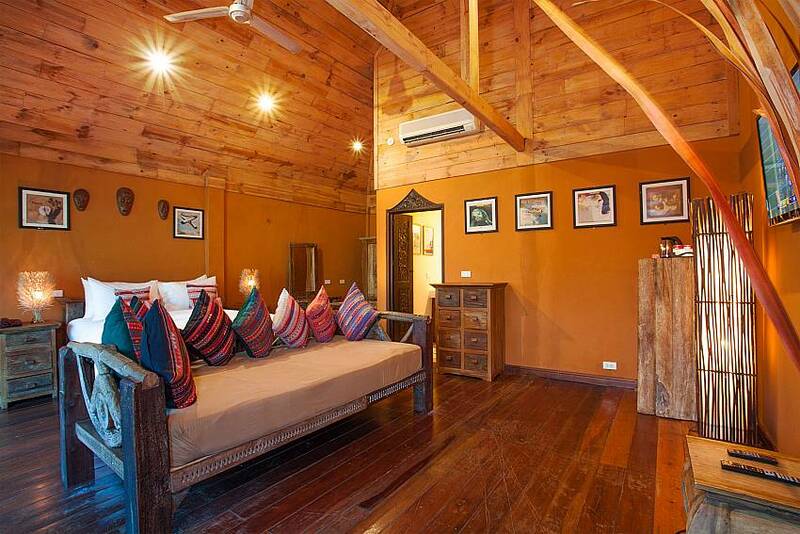 Constructed entirely from wood and enjoying ancient teak wood fitting and fixtures, this is a villa that sparks emotion deep within your soul. 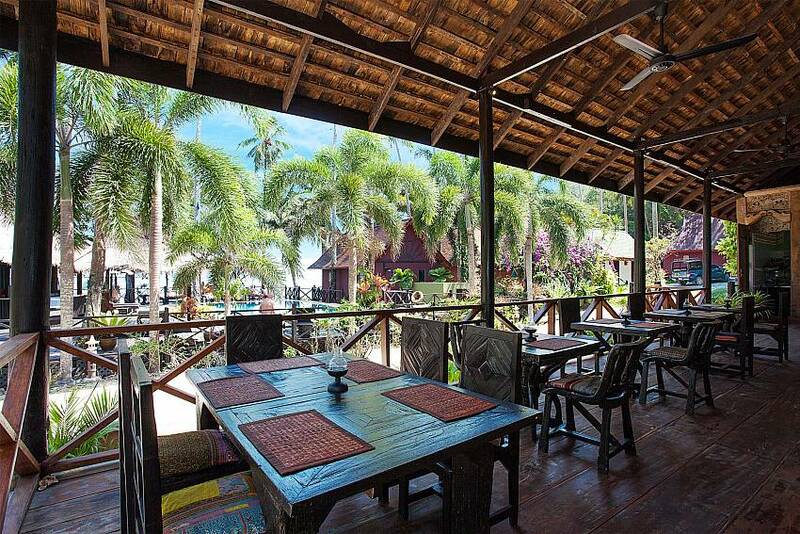 Located in a retreat style tranquil resort, this villa breaks the mold. 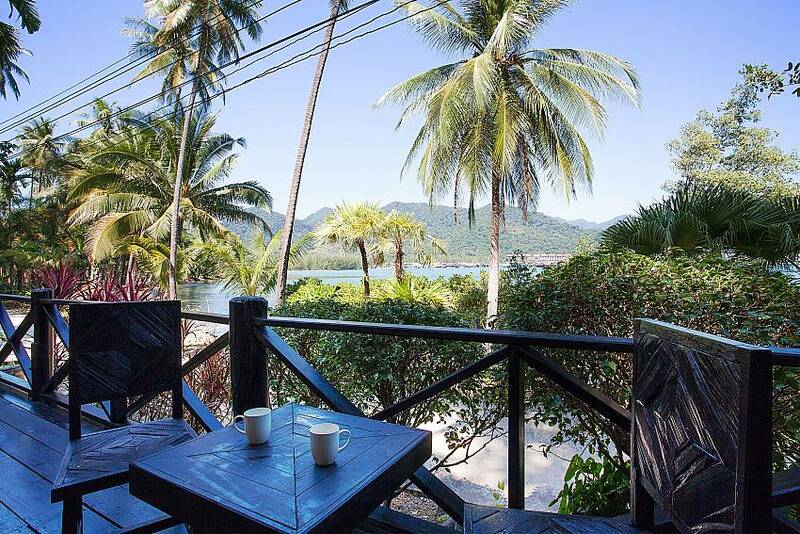 When you seek something completely different for your Thailand holiday experience, this 1-bed sea-view villa is something special. 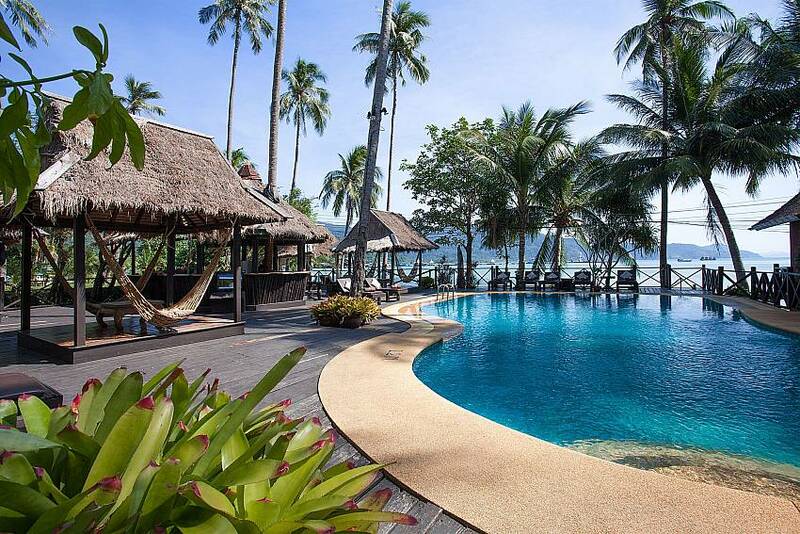 Sat in a picturesque and breathtaking beachside resort with a wide range of 5-star facilities, this villa creates memories that last for a lifetime. 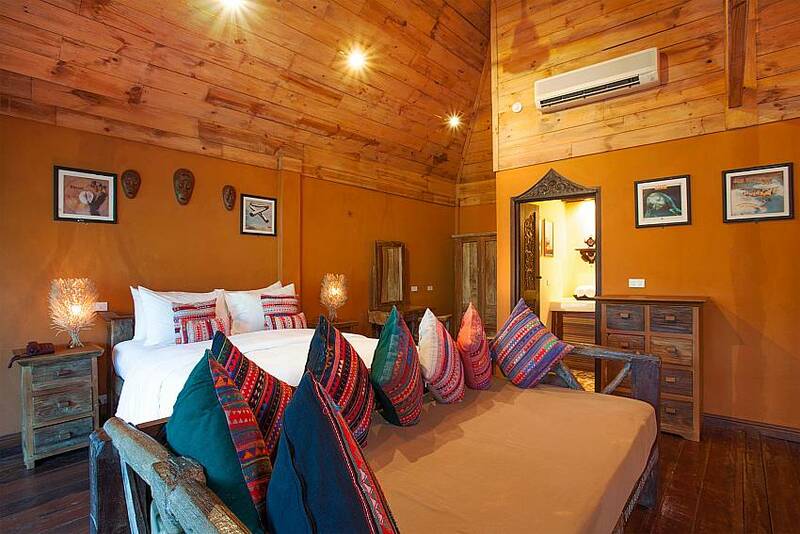 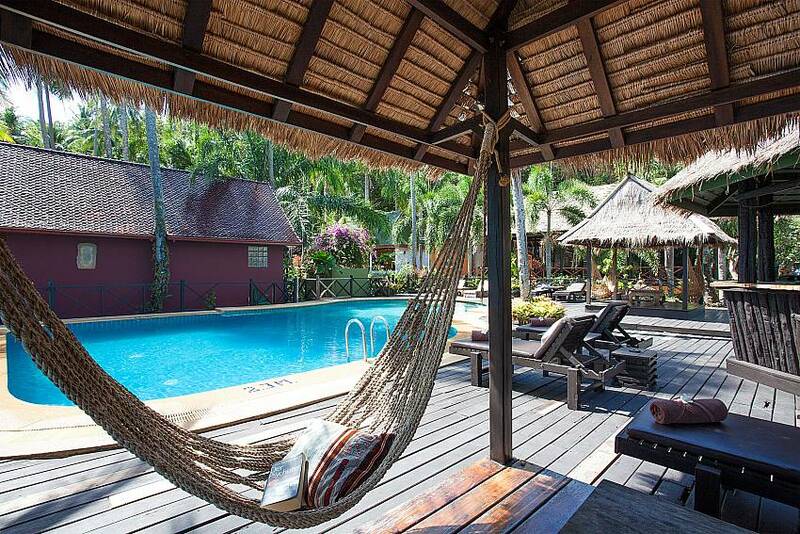 Situated on a beautiful peninsula at Koh Chang, this villa is created entirely from wood and enjoys lots of furnishings and features constructed from reclaimed ancient teak wood, creating a dreamy and authentic atmosphere. 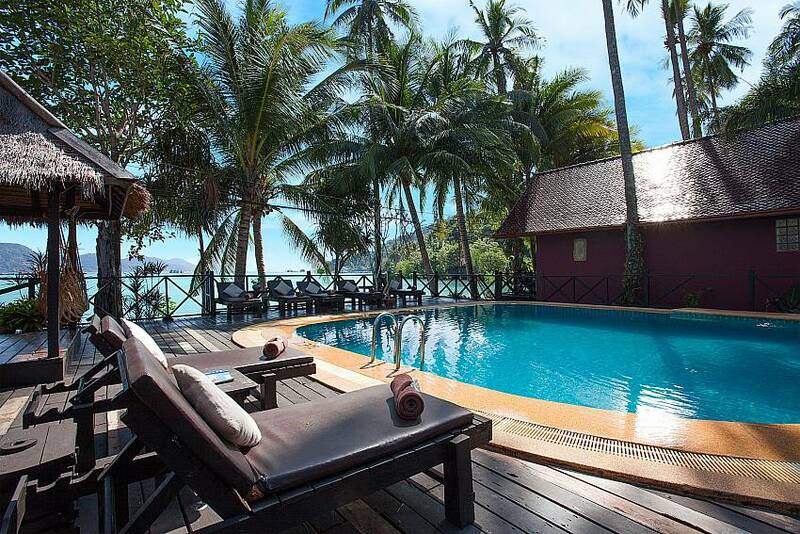 Sit back on your terrace and enjoy the sea-views in their full glory. 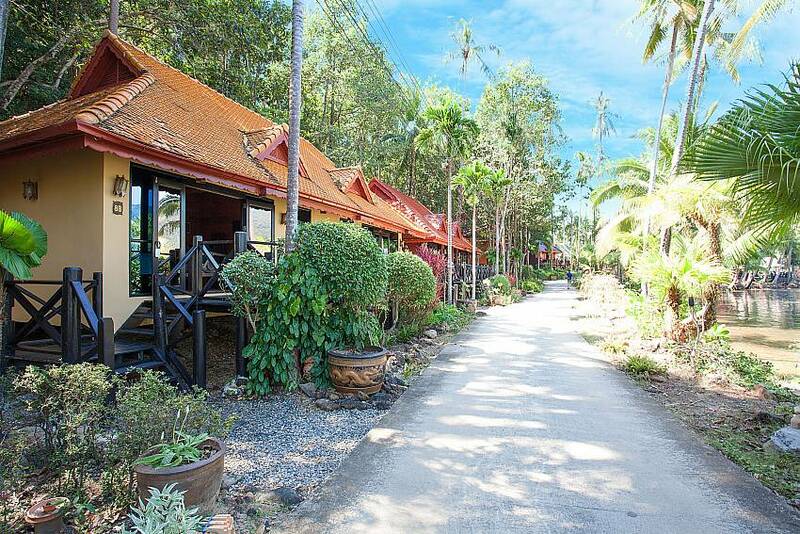 If you are travelling in a larger group, there are many villas in this resort with varying sizes, styles and layouts, so please bear that in mind. 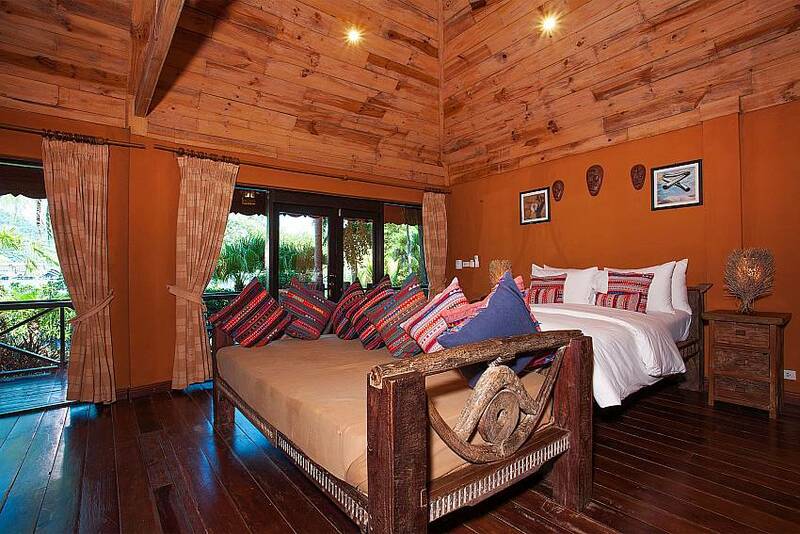 Inside the villa, you will be in awe at the layout and interior design. 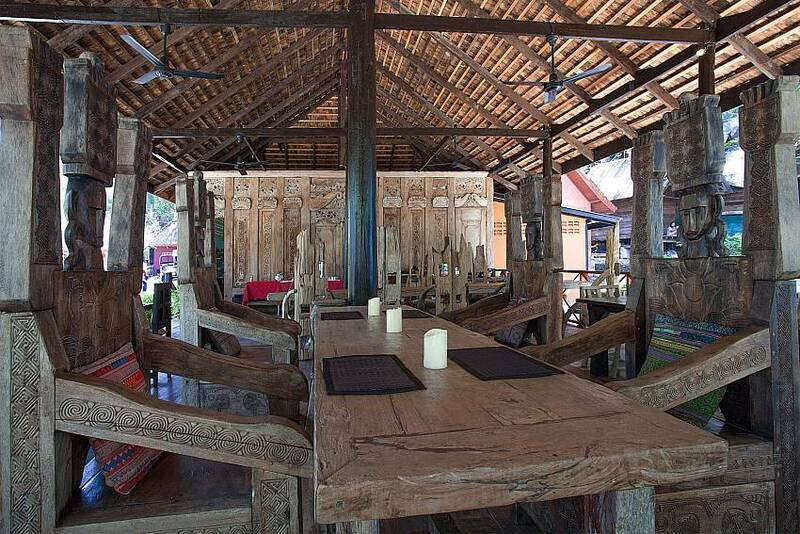 Utilizing ancient teak wood for the vaulted ceilings and furniture, it’s like you have been catapulted into a bygone era of Asian splendor. 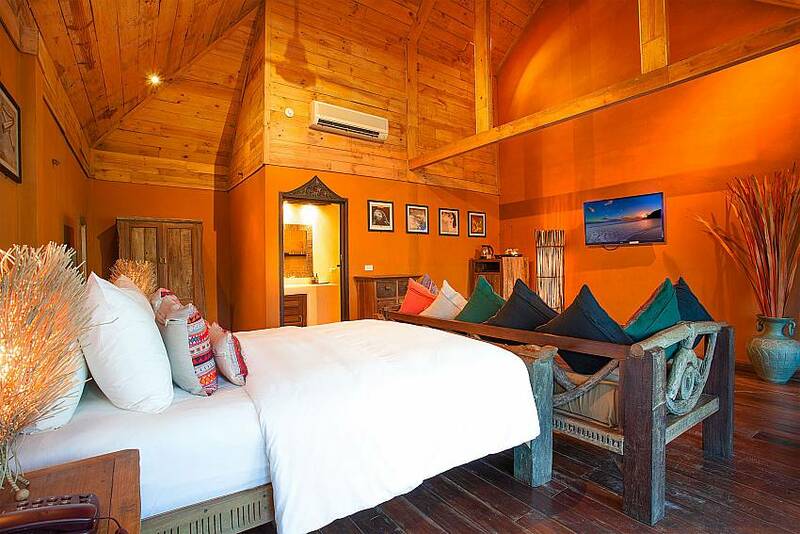 You will find a beautiful wooden king-size bed, alongside (in most of the houses) a Balinese sofa/daybed that can sleep 2 children under the ages of 11. 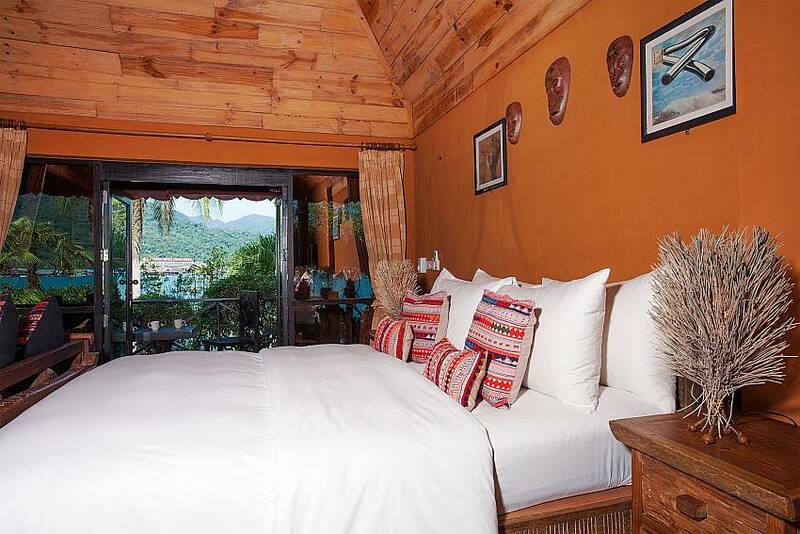 With entertainment features that include a flat-screen TV with international channels, a DVD player and a Sony Digital 5.1 sound system, you have all the modern conveniences you need. 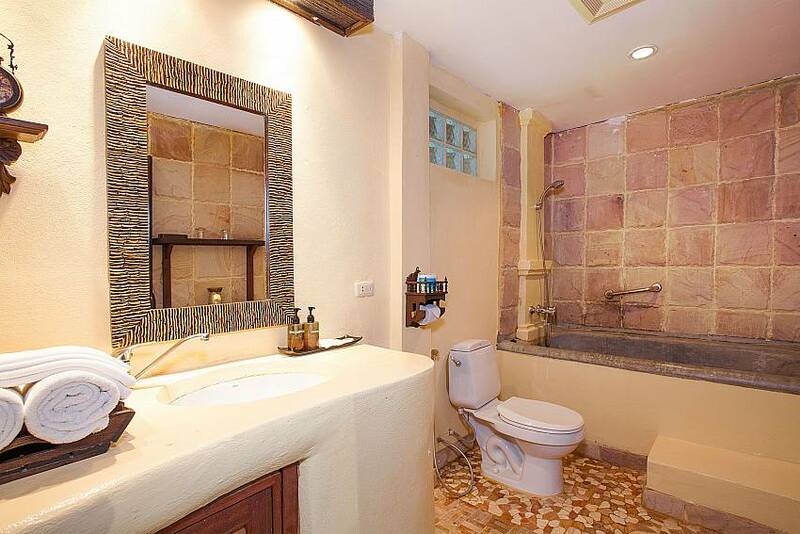 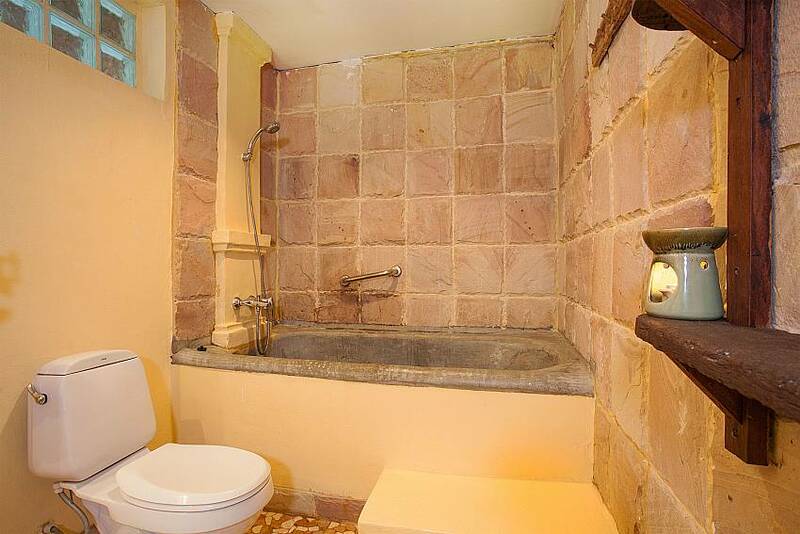 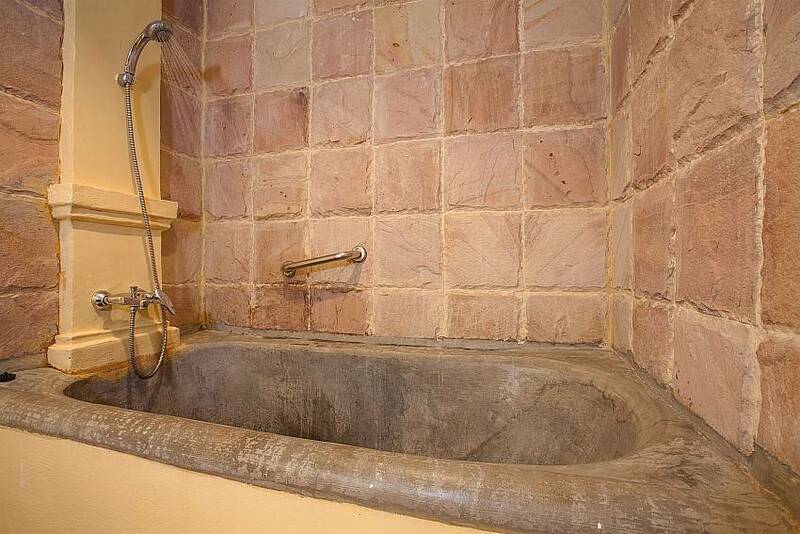 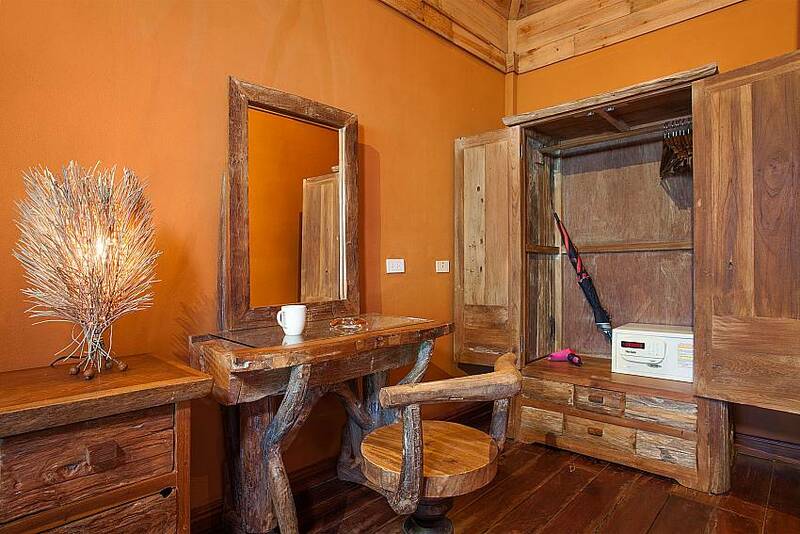 There is an ensuite bathroom with a toilet, wash basin and a rain shower. 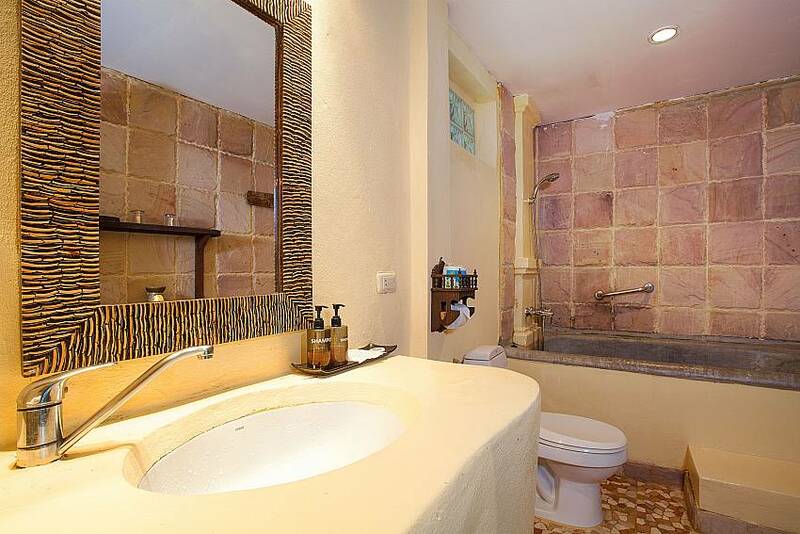 Wi-Fi and maid services are also included in the price. 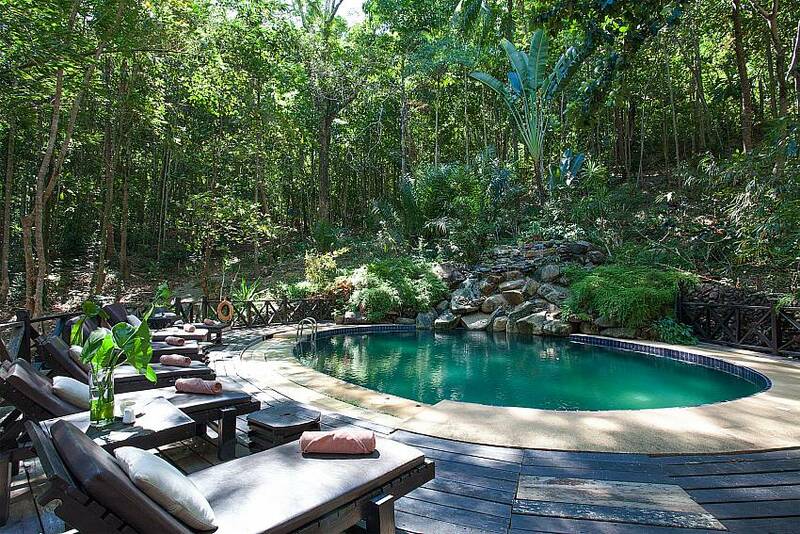 The villa is located in a dreamy back-to-nature retreat that merges stunning jungle terrain on a Peninsula with the sea on both sides, creating an awe-inspiring atmosphere. 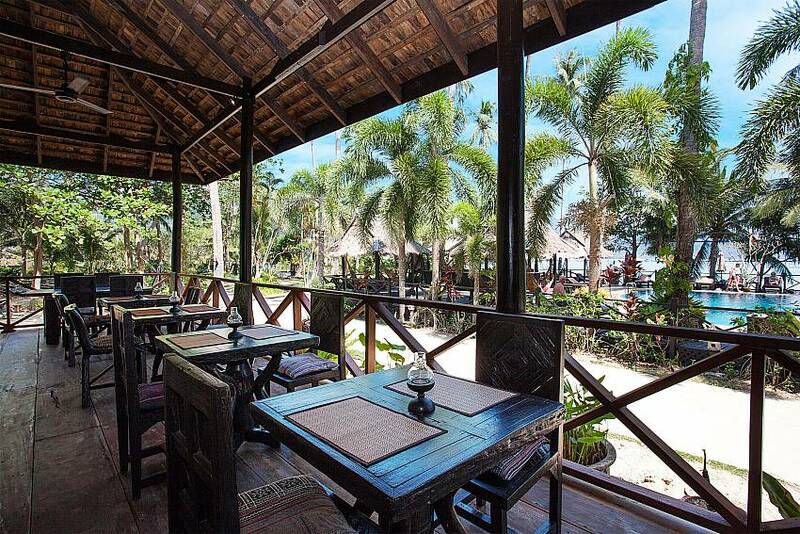 The onsite facilities include a stunning sea-front swimming pool with salas and a bar, a famous onsite restaurant, a jungle pool, and a mesmerizing elevated sea-terrace with a rock walkway. 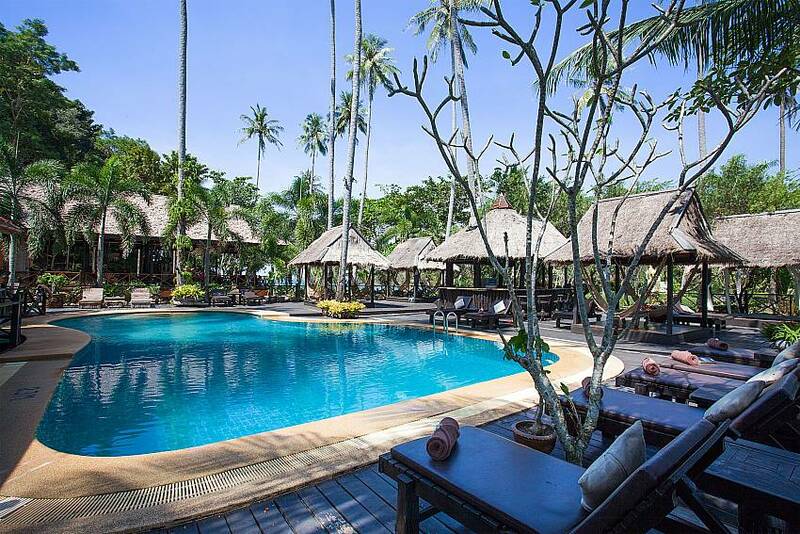 Located in a beachside resort at Bang Bao, which is on the southern tip of Koh Chang, this resort might be tranquil and private, but is just a 5-minute drive to international restaurants and bars. 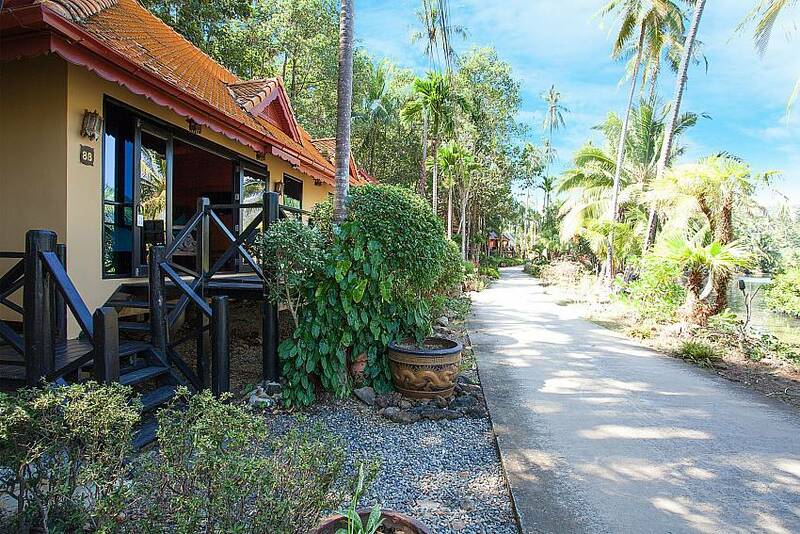 The villa is a 45-minute drive (35km) from the ferry terminal and although is in a quiet location, it’s a short distance to international style amenities and Koh Chang attractions that include Zip N Zorb Adventure Park and Klong Plu Waterfall. 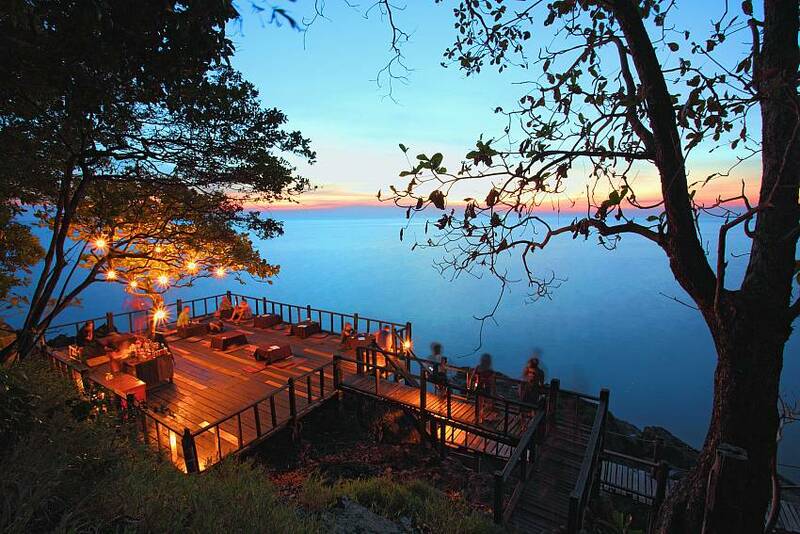 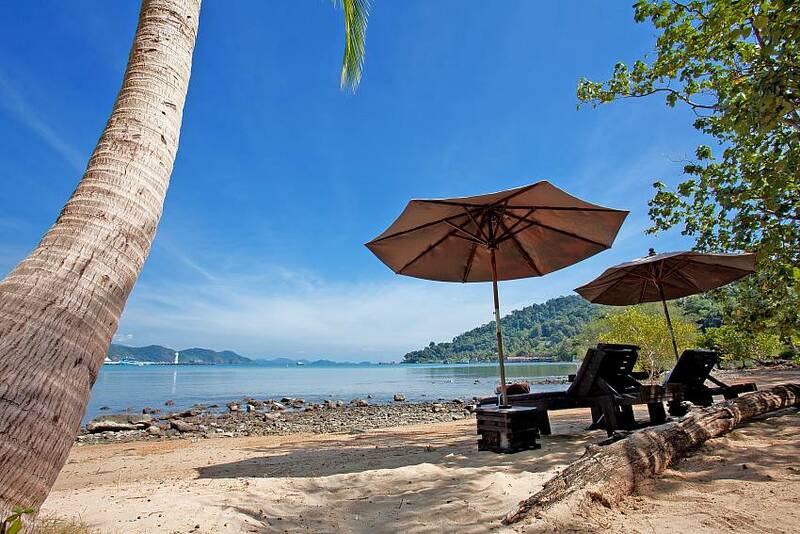 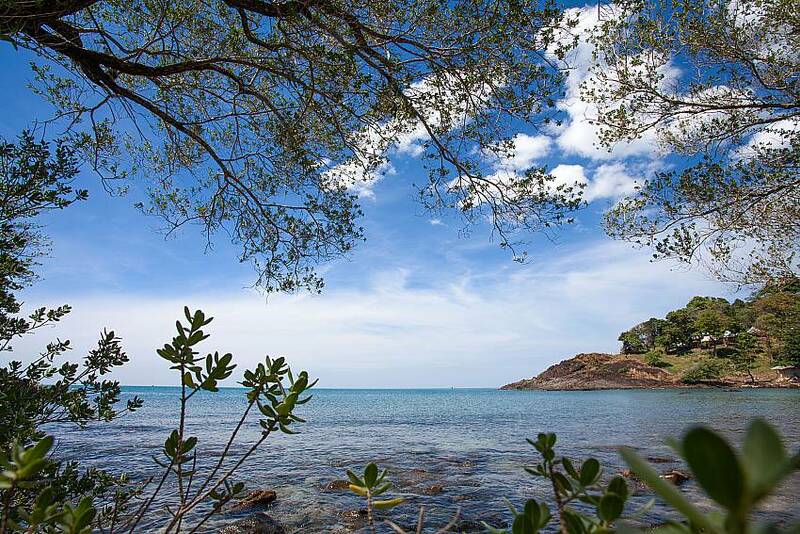 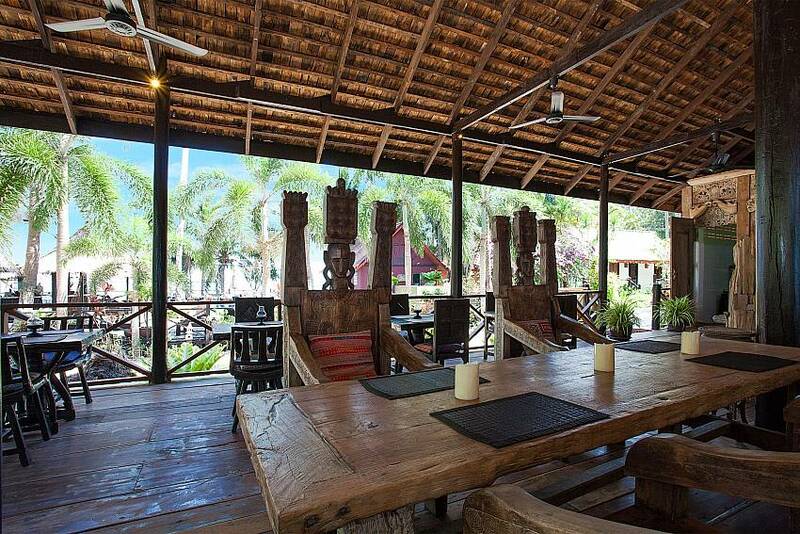 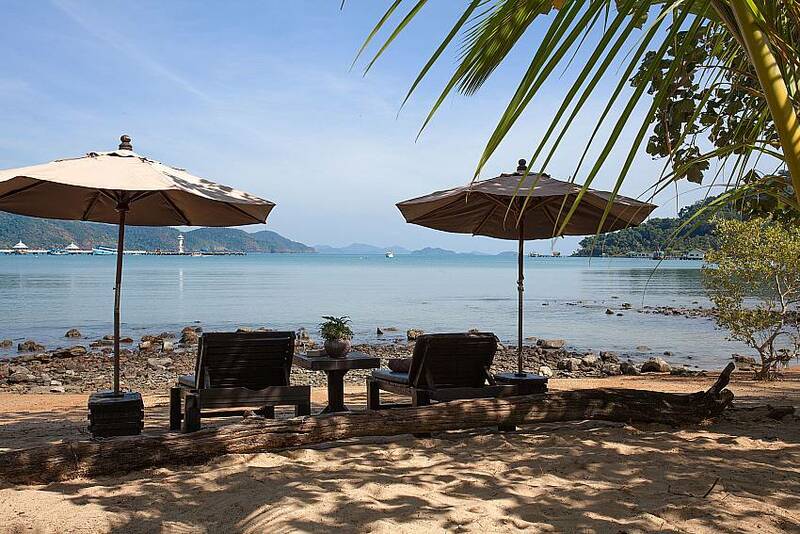 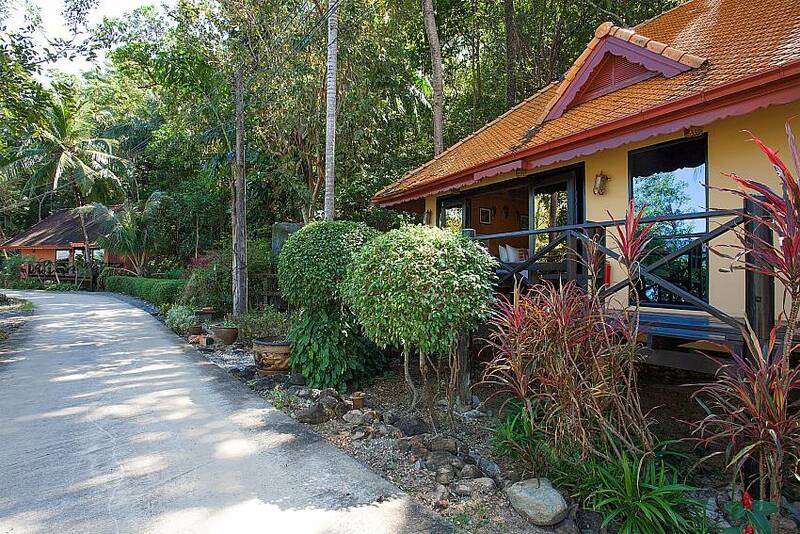 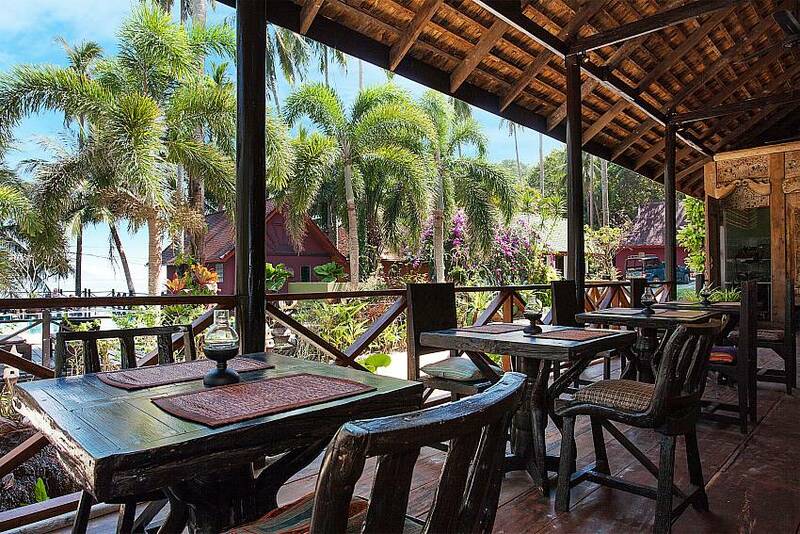 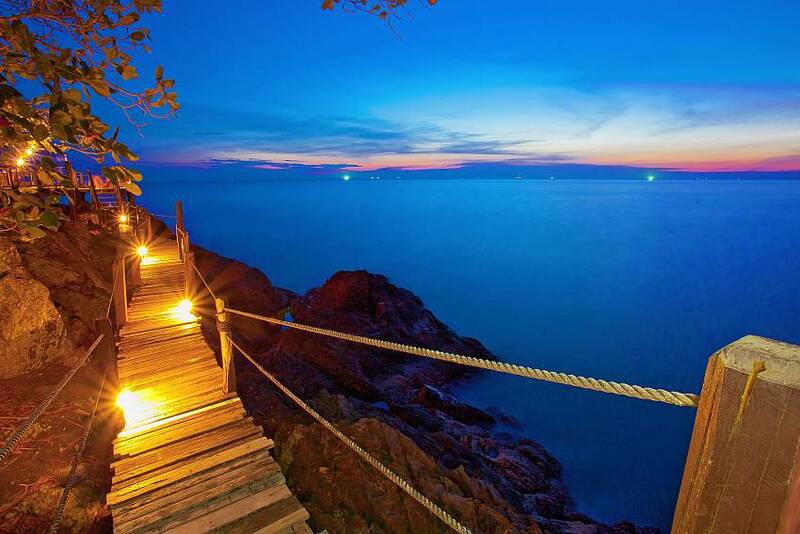 We have a stunning array of Koh Chang Villas for rent you can find by clicking here!